Since I have posted last, life has been incredibly busy. As I write this I am asking myself when life isn’t busy? Life is always busy! My life is always busy! Life just keeps rolling by – whats that saying ‘life happens while your making plans’. I sometimes feel that we should have all been issued with a pause button, just so that we can rest or catch up on what we need to get done before a scheduled event. At this time in my life – I feel that a pause button would benefit my life greatly. Actually, if I am allowed I would also ask for a sleep button for my toddler! If you hear of some type of new technology that allows this option, let me know! October is birthday month in our house. Well for Amy and myself anyway. This year Ames turned 10. I can’t believe Amy is now ten. She is so amazing! She is a happy soul. She is a thinker and mostly a kind person. She really amazes me and inspires me. She is determined to not allow CRMO to dictate her life. Most days she doesn’t complain about the pain. She goes about her business and reads, works on assignments, plays on the computer, watches dvds. She wanted a pink skate board for her birthday. She is not allowing CRMO to dictate her life. I don’t think I could be any more proud of her. I am not even going to mention what age I turned, but lets just say that the older I get – the busier I get. I am still a number of years away from 40 so I am not yet having a midlife crisis, but I feel as though I am continuously busy. Where is that pause button? Amy’s birthday is on the 21st, which turned out to be a Sunday this year, so we decided to let Ames decide what theme park she wanted to go too – SeaWorld, Movie World or Wet’n Wild. She chose Wet’n Wild and the whole Keetley clan travelled down on Sunday morning to the Gold Coast to cause havoc at Wet’n Wild. Apparently the rest of Queensland were there as well – There were so many people there. 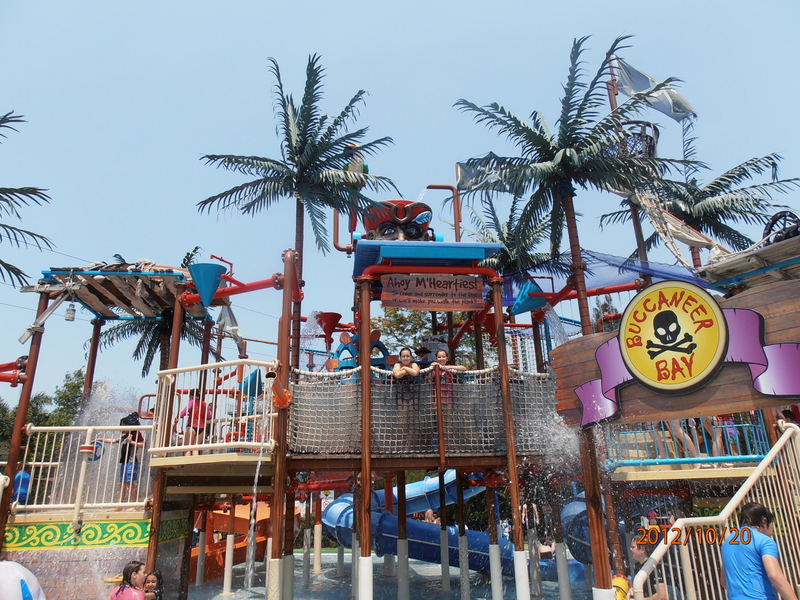 Despite the number of people – we have decided that Wet’n Wild is the best of the three parks. Now I know your probably asking yourselves why we believe Wet’n World to be the best theme park. Its a very simple question to answer. We answer it – we enjoyed it the most. There was something for everyone. It seems every age group was catered for. It caters for the scaredy cat and the daredevil. It pushed the kids and the grandparents to try a ride or activity that they had never tried before, and pushed us all in one way or another to go on the next ride. I got so much pleasure seeing the kids having so much fun. I even went on a few rides. I think the Rapid Rush slide is my most favourite, and then Calypso beach, and lets just say that in the future I will avoid the speed slide. I thought I was going to be held up in the kids area all day, so i was thrilled to hear that the kids were keen to try a few of the different rides. Amy was over the moon with herself. She is our resident scaredy cat, but she really pushed herself particularly after her huge accomplishment on Saturday. On the last day of ‘being nine’, Amy conquered riding a bike without training wheels. Now, I know many kids conquer this feat much earlier, but Amy had a fear of falling off – unfortunately partly caused by her dad a few years ago. Amy was afraid of going down a small hill, but it was a gravel surface and lets just say that Dion, a small Chanel and Amy landed in a heap – the three of them had cuts and bruises and while Dion did not cause the fall off the bikes, he didn’t listen to Amy when she said she didn’t want to ride down the hill. So basically since then she has had this fear of riding without the training wheels. We have begged and bribed her to learn, we have told her all the benefits of riding her bike without training wheels but until Saturday she didn’t want to try. It was amazing. The lucky bike she learned on was one that we picked up for $10 at the school fete back in May. This bike was the perfect size and did not allow training wheels. If anyone was going to ride this bike – it was going to be because they conquered riding without training wheels. So with this new gusto for adventure, Amy tried many rides or should I say slides that I think she would never have tried if it was before her great feat on saturday. Riding her bike without training wheels gave her such a confidence boost. So we had a fantastic day on Sunday, and on monday it was my birthday. Yep….a teeny iddy bit closer to 40 – but still far enough away that I am not yet getting heart palpitations. I don’t think I would cope if I was 40 this year! No offence to the 40 year olds out there – but I am not yet ready. Outside of my family, I don’t feel like I have achieved anything substantial yet! I haven’t done anything really earth awakening or shattering! I feel that if I haven’t done anything by 40 I may just cry. I see my kids as earth awakening and all that but I want to have achieved something under my own identity….not Dion’s wife or the kids mum did it….I want something that I have succeeded at. Anyway enough about that – I still have a number of years before I am 40 so I need to just focus and put one foot in front of the next. This coming weekend we are having a huge family BBQ at our place so I need to get on with organising that. I love having family events, as it motivates me to do some of those extra jobs like cleaning the cupboard doors in the kitchen and the windows in all the areas of the house – that people are most likely to see – lounge room, kitchen, living room windows to start and then our bedroom window as it looks out onto the back of the house. If I can work on these and achieve this I will be a happy camper. So with a huge list in front of me I had better get on with it. The hours before school pick up are closing in on me. Jaden is in his cot crying as he doesn’t want a sleep and I have a headache. My question to God today is – why didn’t you put an on/off button on toddlers, or a volume control. Anyway…best get on with it….I still have to achieve everything on my October challenge list – it really hasn’t worked out too well for me this month. I can only tick off a few things. We have had far too much on – if only our birthdays were next month!